Will the stock continue to go up and keep its upward momentum towards Php2,500 historical target? Three months ago, the Philippine stock market seemed to have bottomed out when the Philippine Stock Exchange (PSE) Index recovered from its 52-week low at 6,900-level, but the rally failed to sustain after gaining 13 percent in September. The PSE Index, from there on, went downhill losing so far 10 percent from a high of 7,881. With the prevailing uncertainties from rising interest rates and inflation in the market, there is possibility that the PSE index could fall back to its recent low at 6,923. 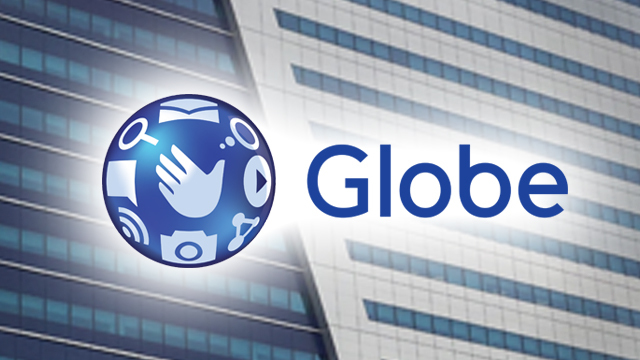 Despite the losses in the stock market, Globe Telecom (PSE: GLO) has emerged among the few blue chip stocks that bucked the downward trend as the biggest gainer so far, whose share price has risen almost 60 percent to a 52-week high from its recent low this year. The stock of GLO has been falling for almost a year on concerns on weakening revenue and earnings growth outlook, where its share price lost by as much as 35 percent from a high of Php2,250 in June last year, until its recent recovery. Will the stock continue to go up and keep its upward momentum towards Php2,500 historical target? What makes GLO an attractive stock among investors during this time of market volatility? If you bought GLO in December of 2010 at Php800 per share, you would have made more than triple your investment in 2015 when its stock price reached a record high of Php2,708 per share. The rise in stock price was caused by consistent growth in earnings during that period, which increased by 11 percent annually from Php9.7 billion in 2010 to Php16.5 billion in 2015 on strong revenue growth of 10 percent per year. But in 2016, GLO’s earnings began to fall, losing 3.7 percent to Php15.9 billion as operating costs increased despite continued growth in revenues. In 2017, earnings further declined by 5.1 percent to Php15 billion. The weakening of earnings brought the stock price to lose by as much as 46 percent from its historical high to its low at Php1,450. This year, GLO reported that its earnings have started to recover. GLO’s first half earnings grew by 25 percent to Php10.1 billion from Php8 billion in the same period last year on strong performance of its data-related products as its revenues increased by 11.5 percent year-on-year. Hopes of sustainable recovery in earnings this year triggered the stock price of GLO to rally in July and never look back. About 77 percent of GLO’s total revenues come from mobile service revenues, which grew by nine percent from Php52.6 billion last year. Most of growth in mobile revenues came from mobile data, which registered a significant growth of 26 percent. The balance of 23 percent comes from home broadband and fixed line businesses, which increased by 7 percent to Php15.7 billion from Php14.6 billion in the same period last year. GLO reported that much of the growth was contributed by its corporate data segments. As of the first half of the year, data-related businesses of GLO already account for 58 percent of its total revenues from 53 percent in the same period last year. The total number of mobile subscribers of GLO has increased by 9 percent to 65 million to date, where 54 percent are mobile data users. Improving revenue growth from data-related businesses in the next twelve months should sustain GLO’s earnings growth recovery. If you want to know if a company can generate sufficient positive cash flows to support its capital expansion, you should look for its operating cash flows, which can be found at the cash flow statement. Operating cash flows provide a glimpse of how the healthy the core operation of a business is. Without positive cash flow, a company may have to borrow money to finance expansion, which increases its financial risks. GLO has been generating positive cash flows for the last 20 years. Its operating cash flows represent about 37 percent of its annual revenues. Its operating cash flows has been growing by nine percent every year since 2010 from Php27 billion to Php50.3 billion in 2017. This year, GLO reported positive cash flows of Php35 billion before changes in working capital, which grew by 20 percent from Php29 billion last year. Return on equity measures a company’s profitability by computing how much profit is generated for every peso invested by shareholders. The higher the return on equity, the better the investment should be. But shareholders have opportunity cost in investing their money into the company. The cost can be the returns that they give up in investing in less risky investment such as fixed income securities. In order to create value for shareholders, a high return on equity is not enough. It must be higher than opportunity cost. GLO has one of the highest returns on equity in the market, averaging 23 percent for the past ten years. Returns have peaked at 28.9 percent in 2015 before it slowly declined every year to 23 percent in 2017. But with recovery in earnings, GLO’s trailing returns on equity for the last twelve months has already improved to 25 percent. Despite the recent rise in interest rates where opportunity costs of shareholders increased to 13 percent, rising returns on equity of GLO still yield positive 12 percent net returns to shareholders. GLO pays out roughly about 20 percent to 30 percent of its annual income as dividends to shareholders. Since 2011, the company has been paying increasing dividend per share by an average growth of seven percent from Php62 per share to Php91 per share in 2017. This year, GLO kept the same dividend per share from last year despite slowdown in earnings. To know how much dividend yield you will earn by buying the stock, simply divide dividend per share of Php91 by its current share price. When the stock price of GLO fell to a low of Php1,500, its dividend yield was highest at six percent, but after the strong rally in the stock recently, the dividend yield at today’s price is still good at 3.8 percent.